"The KuHL IMPAKT VEST is a water repellent, wind resistant softshell with 4-way stretch and DWR finish. The interior features grid back fleece for greater breathability and warmth. 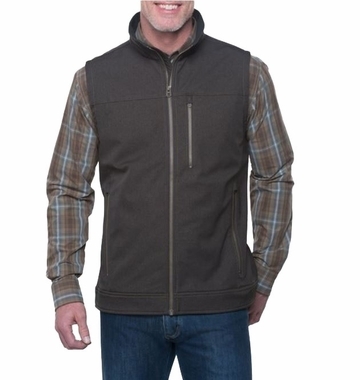 The IMPAKT VEST features zippered hand warming pockets and a zippered chest pocket. Grid fleece interior for warmth and breathability"